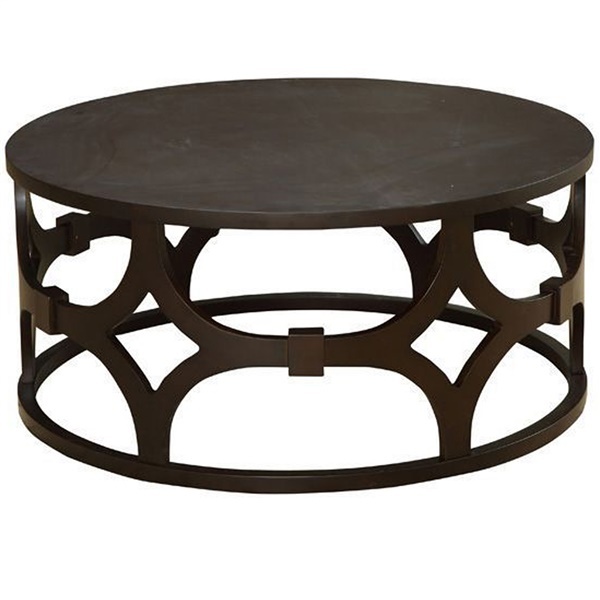 With an unforgettable design and ample surface area, the Tuxedo Round Coffee Table from Armen Living belongs in the center of your living room. Unique and engaging semi-circle panels adorn the bottom to give the base and open and airy look while a beautiful natural wood top provides all the room you need for coffee, hors devours or your favorite flowers. The Tuxedo Round Coffee Table stands on its own or as part of a collection. Expert craftsmanship of quality wood and veneer. Arrange alone or along with other pieces from Armen Living�s Tuxedo collection.